from around the world, to install in your new or existing operations. Paneltim® plastic panels and slats ensure a maximum hygiene performance in animal housing. This helps farmers in the daily hard work to meet the high sanitary and hygienic requirements. Pig pens, dividers, walls, floors, doors,… made out of Paneltim® panels and slats are easy and fast to clean by using a minimum of water. Our panels and slats are made of Polypropylene copolymer (PP copo), are 100% recyclable and resistant to practically all chemical substances and to dynamic shocks. 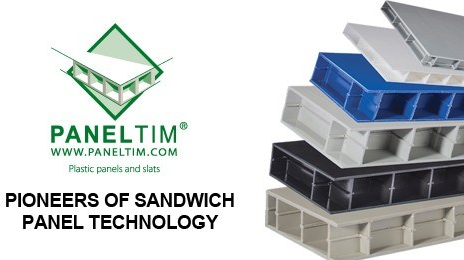 Thanks to the unique internal cellular structure, Paneltim® panels are very strong and can be made to almost any size.